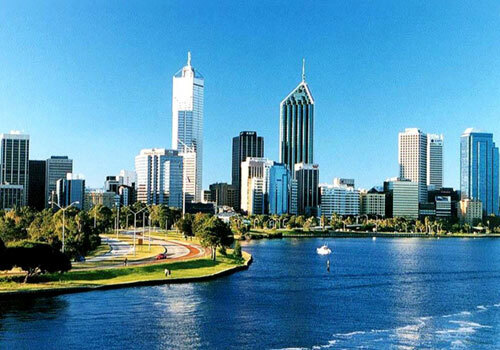 Perth's most unusual claim to fame is that it's the most isolated state capital on earth. To the east, over the ancient Darling Ranges, is the forbidding Nullabor Plain, populated only by the smallest lifeforms. Half a day north, after you've passed sandstone formations of the Pinnacles that look like a Mad Max film set, dolphins nuzzle the knees of humans in the shallow waters of Monkey Mia. Then, from the thousands of kilometres of pounding, pristine beaches from Shark Bay to Esperance, there's nothing further west along the cerulean Indian Ocean until the shores of Africa. 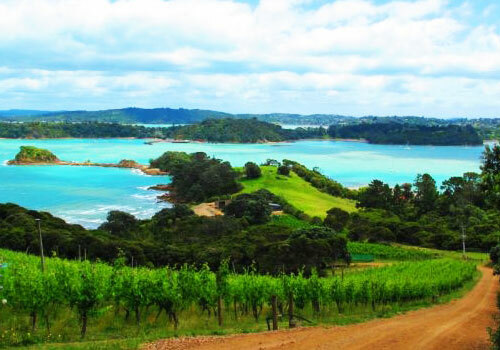 South of the city there are caves, forests, vineyards, wild waves, and whale watching. 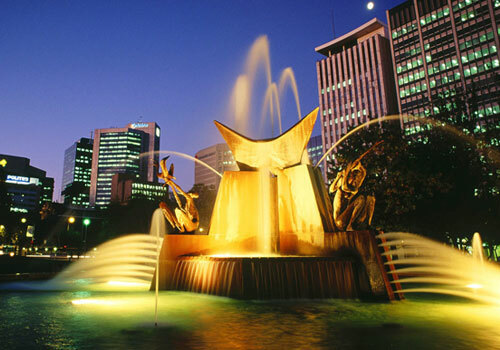 Adelaide is the jewel of the state of South Australia. A sensitively planned colonial style settlement, when you're walking its wide thoroughfares it's hard to believe that this is a city of over a million inhabitants. The city has been careful to preserve its history and culture, and even in the central business district you'll find offices are as likely to be housed behind Victorian façades of immaculate wood and ironwork as behind modern concrete and glass. Taking one of the historical tours through the older quarters evokes a European city of more than a century past. The sheltered waters of the bay add to the effortless beauty of the city, the calm blue waters of the Southern Ocean are perfect for water sports and sailing, and beach culture is as alive and well here as it is anywhere in Australia. Melbourne is a charmer. 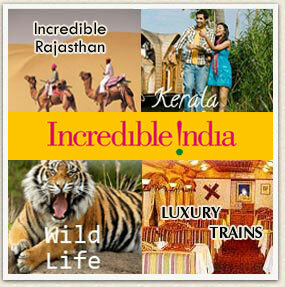 Spend a weekend there and you'll like it, spend a week and you'll fall in love with it. 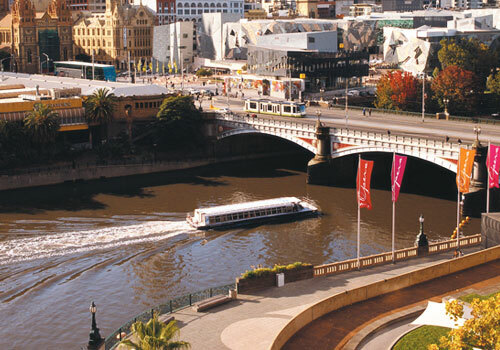 Melbourne is also more than a match for anywhere with its surroundings. Victoria hides some of Australia's most beautiful scenery, drive the Great Ocean Road and you'll find some of the best limestone coastal scenery you'll see anywhere, or head for the serene natural beauty of the Yarra Valley and its vineyards. The city of some 3.7 million inhabitants is simply swallowed up in the surroundings and an hour's drive transports you a thousand miles away from urbanity. 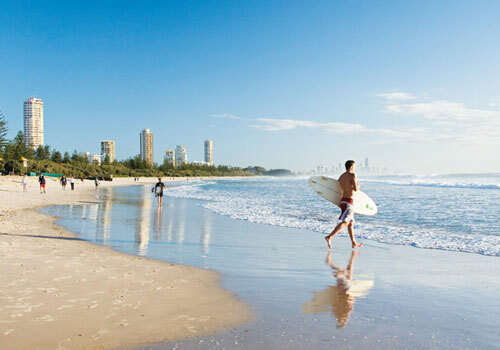 Australia's Gold Coast city, the azure waters of the warm Pacific reflect Brisbane's sparkling charms. This laid back settlement sprawls along the East Coast and then meanders along the Brisbane River, just like the loose-limbed surfers and sun-worshippers who laze on the city beaches. 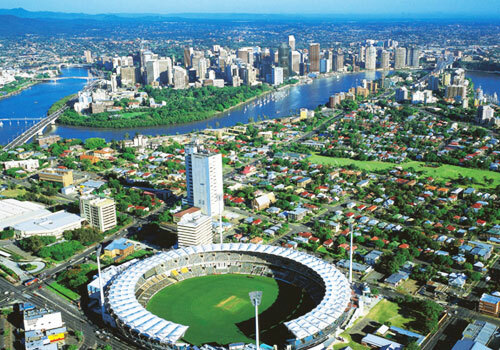 Less cosmopolitan than Sydney and less self-conscious than Melbourne, Brisbane is very much an Australian town. It is actually the third largest settlement in the whole of Australia, but that is hard to believe when you're in the place. The compact centre is home to modern high rises but as you explore further along the river and into the parks that surround the city you'll find yourself with plenty of space to stretch your legs and enjoy the near perfect climate. Basking on the edge of the Derwent River, Tasmania's pretty capital retains a village atmosphere, making it one of the most charming towns to visit in Australia. 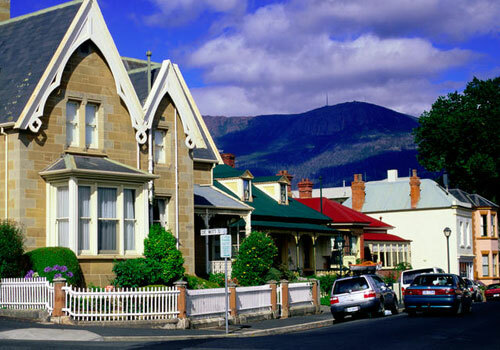 The main reason for this charm is Hobart's predominantly Georgian architecture: little fishermens cottages line the streets of the Battery Point area and old warehouses converted into cafés and shops lie along the waterfront. The magnificent harbour is at the heart of town, historically the main incentive for settlers who came here in their droves in the 19th century - taking advantage of the many opportunities provided by the then-flourishing whaling and shipbuilding industries. Most visitors today are drawn to the attractions of Salamanca Place, with its waterside cafés and galleries and weekly craft market, the yachts and ships moored here providing an almost Mediterranean ambience. Beautiful, sunny Cairns undoubtedly enjoys the best weather of any of Australia's major cities. Sandwiched between two world heritage sites, that of the Great Barrier Reef off the coast and the Tropical Rainforest interior, the city offers a multitude of opportunities for enjoying the best of two completely disparate worlds. Cairns itself is of modest size boasting only some 100,000 inhabitants but its compact nature fits in perfectly with its surroundings. The Esplanade is the heart of the city, stretching along the waterfront and lined with entertainment venues, hotels and cafés while its parkland offers some cooling shade from the sun that permanently smiles down on the city. The Esplanade is also undergoing major redevelopment, with a land reclamation programme that should provide an even more extensive recreation park for the citizens of the city. 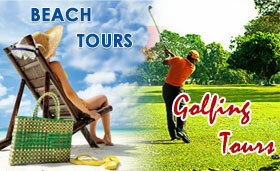 The Gold Coast is Australia's premier holiday destination. For over 70 kilometres its golden sands stretch along the continent's Northeast coast. 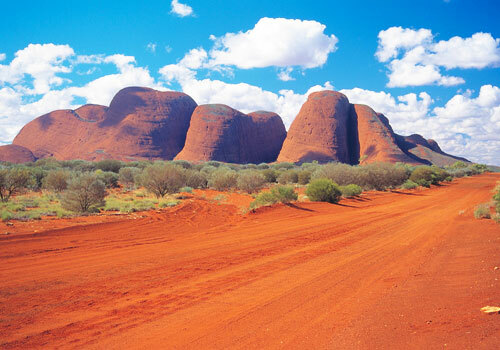 Easily accessible from Brisbane and a short flight from Sydney, it is an area of breathtaking beauty. There are various resorts along the coast, centred on the aptly named Broadbeach and anchored by Coolangatta to the south and Surfers Paradise to the north. The series of towns in between are almost identical settlements, all fronted by broad pristine beaches and backed by the green fringes of the forest that creeps closer to the coast here than anywhere. The Gold Coast really comes into its own after dark however. The bars and nightclubs of each resort are always packed with enthusiastic revellers of all ages. Surfers Paradise is a veritable maze of clubs that party until dawn night after night. Further down the coast Jupiters Casino offers a variety of entertainment, from reviews to cocktails to dances, and of course plenty of games of chance. But even amidst all this you can opt out of this nightlife and head for an al fresco restaurant or bar when the sun begins to drop beyond the horizon, and enjoy the cool of the evening only disturbed by the sound of the Pacific rollers on the shore. 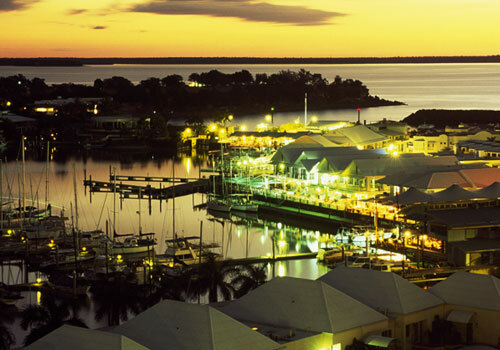 Dhows Essentially a large town, the Northern Territory's capital is compact and friendly, with plenty to entertain the visitor within the city itself and a wealth of attractions nearby. Its northern location lends it a tropical climate, which is probably what accounts for the easy-going attitude of the locals. 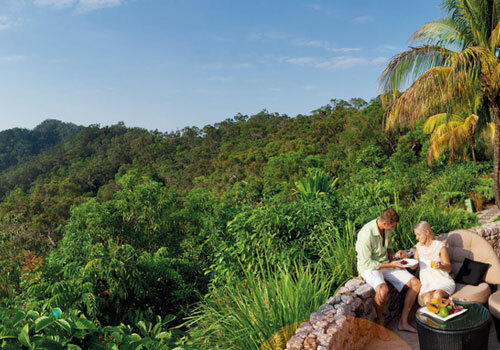 Further afield, the stunning waterfalls and tropical rainforest of Litchfield National Park provide a welcome respite from the bustle of the city. Even more remote are the Tiwi islands, lying just off the north coast, which are culturally unique, but with a definite Asian flavour. 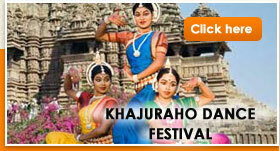 Darwin is well worth a visit for those seeking a laid back holiday in a culturally diverse city. 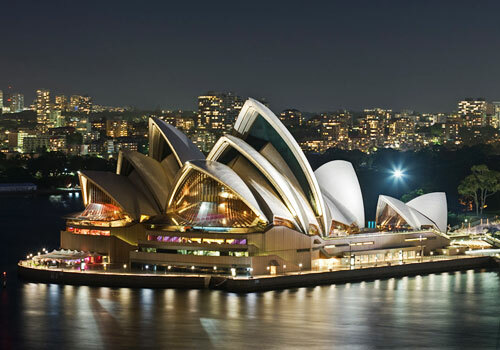 Australia's capital, mainly by virtue of Melbourne and Sydney's refusal to cease squabbling over the honour, Canberra is a modern city created along principles of space and accessibility. It is often overlooked, literally, as tourists shuttle between Australia's two Southeast giants, but Canberra is well worth a more thorough exploration. 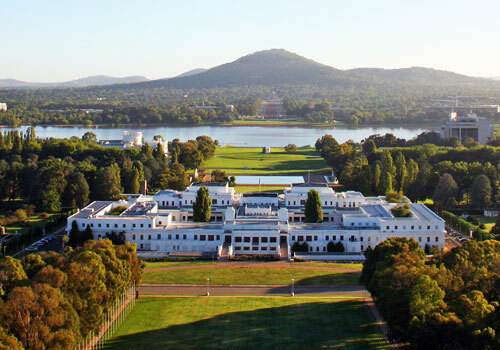 Despite being relatively young, Canberra has a gravitas that belies its age. A massive artificial lake makes a picturesque centrepiece and around it are located parks and wide thoroughfares centering on the city's finest buildings and institutions - which of course include the Australian parliament. When millions of people travel over 2,000km through the desert to see a rock it's got be fairly impressive. 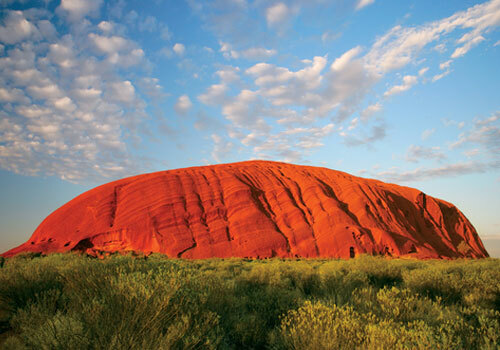 In fact once you've seen Ayers Rock, or to give it its correct Aboriginal name, Uluru, the most common question people will ask you is "is it worth it?" The answer is irrefutably yes. Perhaps it's the famous way that the Rock changes colour, through an almost magical spectrum of red to lilac and then charcoal at sunset. It may be the fact that Ayers Rock is literally in the middle of nowhere and soars out of the flat wilderness like a mythical island. It could be the ancient spirit that it embodies - making it a true wonder of the world. However it is probably just the sheer scale of it. The millions of photos taken every year rarely prepare you for the first approach as you become rapidly dwarfed by its enormity. After all, it is 3.6km long, 340m high and a leg-aching 9.4km all the way around the base. New Zealand is a fantastic holiday destination, with only one drawback - getting there from North America or Europe takes absolutely ages. Often you'll find many people visit as part of a longer trip, and make the short hop from Australia. However, the big plus is that the country's perceived inaccessibility tends to mean that visitors to NZ are here for more than just a couple of days, and consequently get to see a lot of this fascinatingly varied country. The three main cities have utterly different atmospheres and characters; don't assume that if you've seen one you've seen them all. Christchurch is cultured and retains its colonial charm whereas Wellington has all the attractions of a capital and is packed with parks, theatres and restaurants. Finally Auckland is the lively "big city" of New Zealand (although international visitors will find it a lot more laid back than its reputation implies). s and wide thoroughfares centering on the city's finest buildings and institutions - which of course include the Australian parliament. Capital of New Zealand and geographical centre of the country, Wellington is known for its lively cultural scene and progressive outlook. Situated at the bottom of North Island, the city is organised around its splendid harbour while areas of outstanding natural beauty are located only a short drive away from the compact Wellington city centre. It's often observed that Wellington has all the sophistication of an international metropolis combined with the charm of a local village. 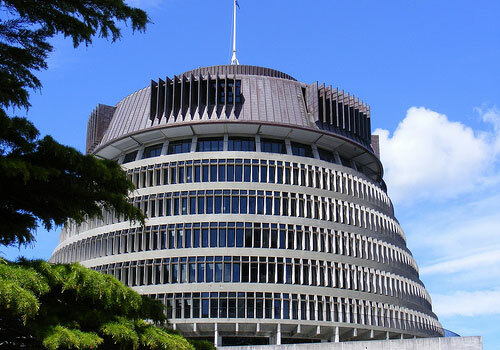 To others, though, Wellington is the windy city - subject to gale force gusts and lots of hot air from the politicians! Everyone agrees, though, that this is a beautiful place, packed with great restaurants and visitor attractions that make the most of its abundant natural virtues.